Members of the Robeson Board of Education have until February to vote on the state’s proposal to take over Southside-Ashpole Elementary in Rowland. State law allows the district to accept the takeover or close, dispersing about 270 students within the district. Robeson commissioners and school board members have been reportedly engaged in a bizarre back-and-forth over whether or not commissioners agreed to a “joint” October resolution in opposition. Regardless, members of the school board are expected to mull the proposal to shutter Southside-Ashpole, possibly as soon as December. But The Robesonian argued this week that the district has little choice. The Robeson County Board of Commissioners last week wiggled off a hook, awakening from a slumber and distancing itself from the Board of Education for the Public Schools of Robeson County, which is without ammo in opposition to the state taking over control of Southside-Ashpole Elementary School. That left the county Board of Education alone in opposition to the Rowland school’s inclusion in the state’s Innovative School District, a Republican-led initiative to give students stuck in low-performing schools some kind of escape from schools that have chronically failed to provide students the education that the state constitutionally guarantees. The commissioners appeared confused about earlier action regarding a joint resolution between the boards in opposition, couldn’t find a single voice, and therefore did not sign off on the resolution that essentially kicked the ball down the road. Why should it have been left to the state to point out the problem when it pervades the system, with 27 out of 42 schools identified as low-performing? 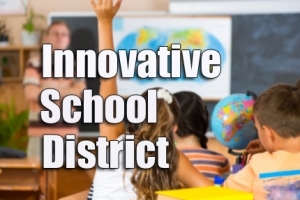 This conversation would not even be happening if not for the creation of the ISD as any urgency had eluded the local school board. The commissioners know that the state has all the cards, and that oppositition is weakening, epecially in the Rowland community. Eric Hall, the superintendent of the ISD, continues to effectively make the case that the school, where fewer than one in five children are performing at grade level, deserves a chance to try something different. That leaves the 11 school board members standing in opposition, but they have state law in their way. Their options are to relinquish control or close the school, and if they close it they have to find a place for 270 mostly minority and poor students who will not be warmly embraced where they are deposited. That is simply an ugly truth. The confusion stemmed from a joint meeting of the two county boards on Nov. 9 with Hall. We will give Freeman high marks for hubris, given he sits on a board that governs a system that has 66 percent of its schools as “low-performing,” and can be convincingly fingered as the worst in the state. Yet he is asking for evidence of the state plan. Hall has been clear that a plan will be developed when shortcomings are identified, and that will take time. But it is clear to us that Hall expects to use autonomy the school will enjoy to shift resources toward the hiring of stronger teachers who can act as mentors. The Rowland community soon enough will sign on to the program, and realize the ISD for what it is, at least potentially, an escape from blissfully accepting less for these children — and the five-year commitment that provides time for it to make a real difference. Enough commissioners recognized that to stop the county’s endorsement of the resolution, in effect unhitching themselves from a position that could be damaging next time voters are darkening a ballot. They are willing to accept that the local system needs help, and in this case that might require stepping aside. Our belief is that as soon as Hall and the management team are allowed to get to work and bring in new teachers and a game plan, results will follow — and that other local communities that have been failed by their local schools will raise their hand for inclusion. Stay tuned for more updates from Policy Watch as they develop.